Capitalizing on Justice will be on display at The Gallatin Galleries at NYU from March 14-28. Join us on the March 14th for the Grand Opening, featuring a panel discussion with artists Jesse Krimes and Russell Craig. 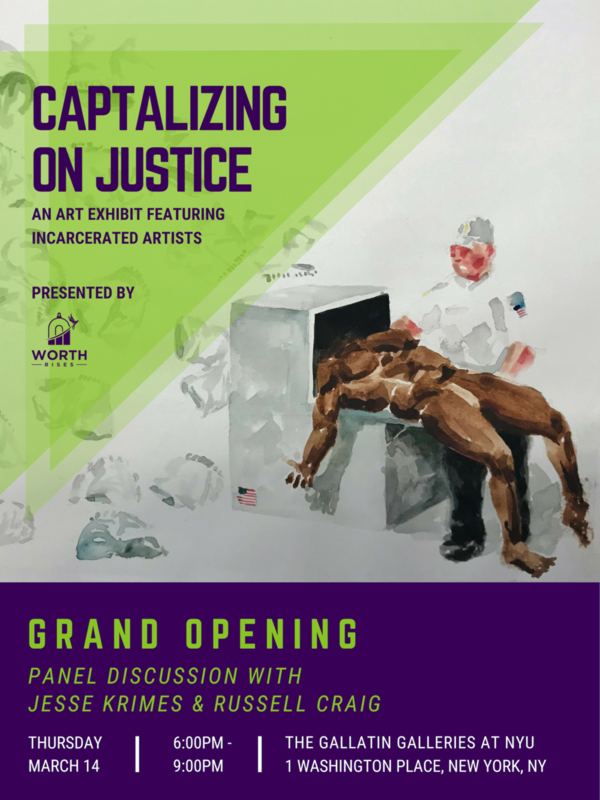 This event is being hosted by The Gallatin Galleries at NYU and The NYU College of Global Public Health Justice Initiative. Open to the public.